Do our genes determine our behavior? Do humans occupy a unique position in evolution? To clarify these provoking questions, the author takes the reader on an ambitious and entertaining journey through a variety of scientific disciplines. In doing so, he creates an image of human evolution that argues that our entire individual knowledge is determined - to the smallest detail - by phylogeny. A provoking and controversial analysis of the theory of our inability to learn something new and of the extent to which our behavior is determined by our genes. 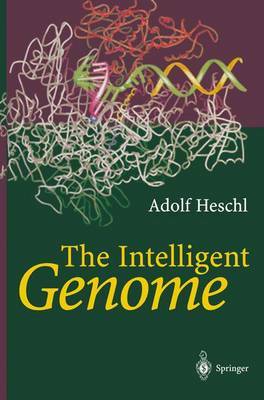 "All knowledge of the individual is located in the genome, argues Heschl. With such a radicality he goes much further than many other researchers like Richard Dawkins, the advocate of the selfish gene." Frankfurter Allgemeine, translated from issue June 17, 1998. "We cannot exclude the possibility that Heschl is simply right." "I basically agree with Heschl's theses."